Whether you need a place to change clothes, shower, or have extra privacy when “nature calls,” the Browning Privacy Shelter will give you plenty of internal space. The fiberglass poles give the Privacy Shelter a free-standing design. 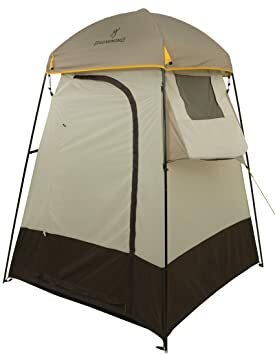 There are several compartments on the mesh storage pocket inside the shelter to keep your small items handy and there are two pockets on the outside to keep your towels and clothes dry. The Browning Privacy Shelter’s solid construction and top-of-the-line materials make it a great choice for any trip where privacy is needed. Base Size: 5’6 x 5’6; Center Height: 7’2; Total Weight: 13.11lbs. ; Packed Size: 7″ x 26″. Steel Stakes, Guy Ropes and Zippered Carry Bag included. 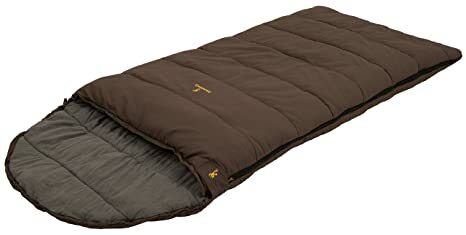 Browning Camping SKU#: 5992511. 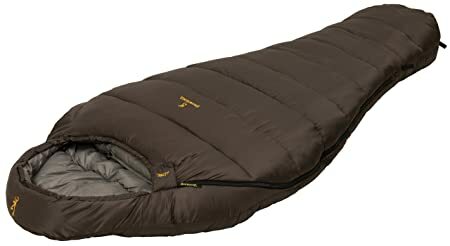 The Glacier (#5492711) has all the features you will need to enjoy your campout even when the conditions are extreme. It was designed and built to last and protect you from all the weather you encounter. Even if your weather conditions are mild, you’ll still be able to enjoy the added features the Glacier provides. Included in the Glacier are the oversized #10 door and vestibule zippers and heavy duty nylon oxford floor. 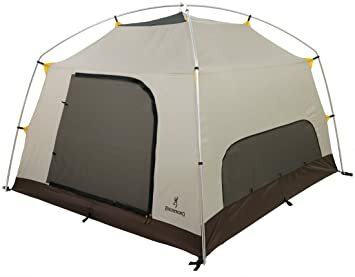 The #10 door zippers will give you a lifetime of smooth operation and the oxford floor, which is about twice the weight of normal nylon floor material, will greatly increase the durability of your tent. The tent is a free standing two pole design with aluminum poles. The full coverage 75D 185T Polyester fly buckles on for extra strength and adjustability and will protect you from the elements, even under the nastiest conditions. A large vestibule with double zippers makes a great storage area. The fly and floor seams are factory sealed to give you the best weather protection. 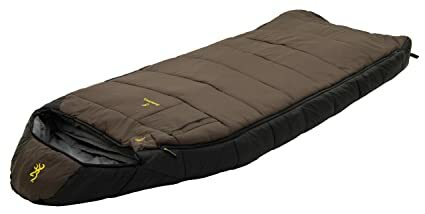 The Denali is a mummy shaped sleeping bag youll want to bring along on those cold nights when staying warm is the only option. With the 2-layer construction designed to eliminate cold spots and the Techloft Insulation the Denali series are filled with, youll get a comfortable nights sleep. Techloft Insulation consists of multi-hole staple-length micro-denier fibers that have a siliconized finish for maximum insulation, loft, and compactness. There is an insulated chest and zipper baffle to make sure your heat stays inside the bag with you. 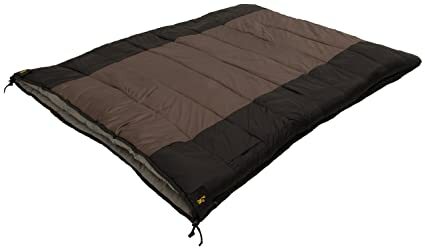 Its so comfortable and cozy, you may not even realize youre not in your own bed anymore! We dont have to ask, we know everyone is tired of buying cheap, quad chairs that last a couple of times and then break. Not only is it embarrassing to have your chair break in front of family and friends, but why buy a chair thats not going to last? No more disposable chairs! The Kodiak is pure luxury. It has a sturdy powder coated steel frame with 600D fabric quality you can count on and that will last a lifetime we guarantee it. And the Kodiak Chair holds up to 800 lbs its time to move on to a chair that you can trust. 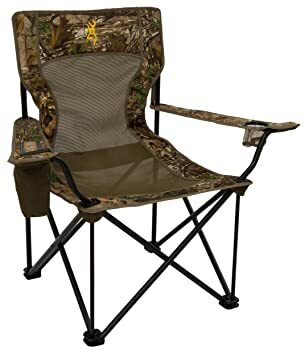 Even if youre a person who doesnt need the extra weight capacity, the comfort and strength that youll gain from this chair is incomparable to any other chair on the market that folds up, fits in a carry bag, and can be brought to all your events. 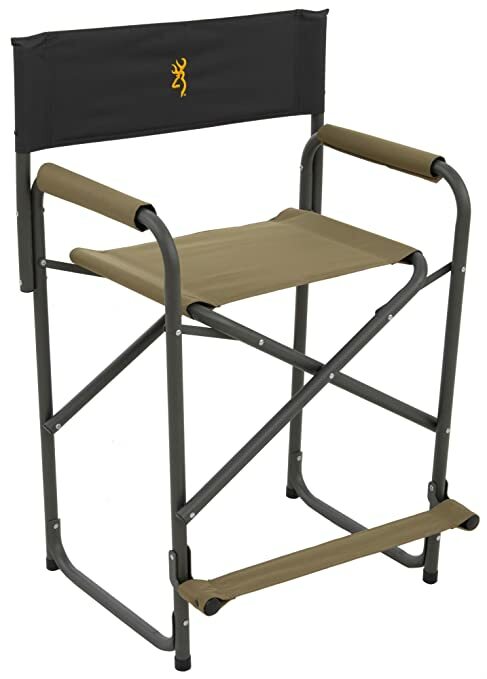 It’s easy to see why this attractive camp chair is Alp’s best-selling chair. 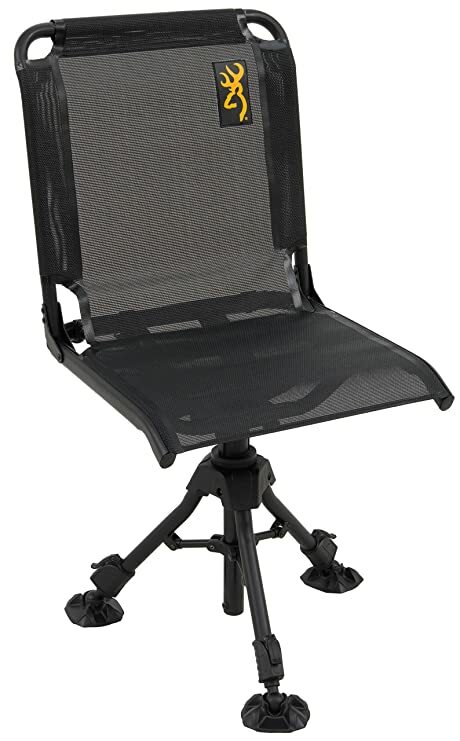 Not only is it Sturdier and wider than most transportable chairs, making it more comfortable, but it also has padded, curved armrests, a power coated frame, and a cup holder/pocket, giving the chair all the features you would hope for. 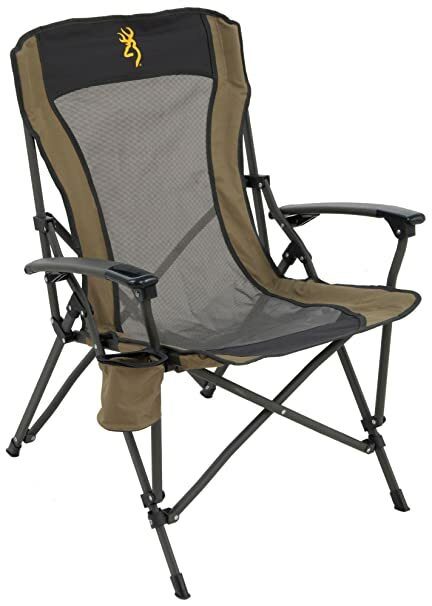 The camp chair folds flat for transporting and storage and “pops” open when you’re ready to sit back and relax. The back frame is now detachable so the packing and storage size is decreased! 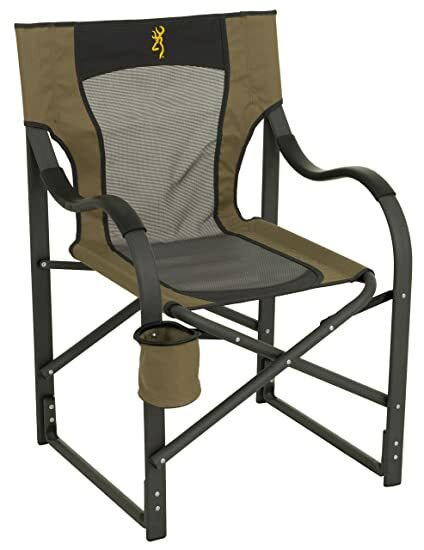 this is a great chair for camping, sporting events, barbecues, and just sitting on your deck. The Klondike (#4893977) is a “heavy duty” oversized hooded rectangle bag. The Klondike uses Techloft Insulation. Techloft Insulation consists of multi-hole staple-length micro-denier fibers that have a siliconized finish for maximum insulation, loft, and compactness. The TechLoft insulation will keep you warm and toasty on those colder nights when you’d prefer to have more “wiggle room” than you get with your mummy bag. It uses two layer offset construction to eliminate cold spots. For transporting, we include webbing straps with quick release buckles that keep your “rolled-up bag” secure. The Huntsman chair is pure luxury when it comes to blind chairs. 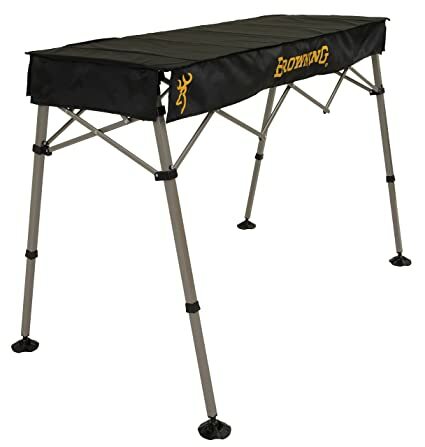 It has adjustable legs, so if you’re on uneven terrain, you can still sit level. It also adjusts up and down so depending on the placement of your blind’s windows, you can sit at the height that is good for you. The large swivel feet won’t sink into the ground and help provide a solid base. It rotates 360 degree so you’ll always know what’s going on around you. The backrest is another great feature, to ensure you’re comfortable when sitting for hours at a time.